Unused legacy applications eventually need to be decommissioned, either because they take up too much space, cost too much to continue running, or hold sensitive data. But how do you know when an application has reached its limit and you need to start the decommissioning process? 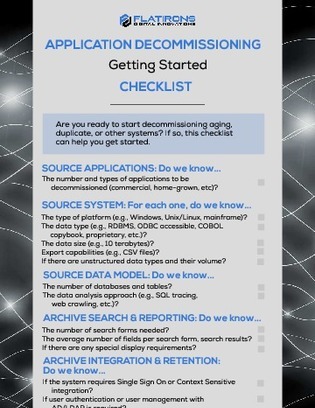 Consult this checklist to find out which of your legacy apps might need to undergo a decommissioning process soon and how to start that process.